Branson is a great vacation destination in the Midwest which offers many perfect spots that will give you the chance to see the beauty of the Ozarks. There are vast possibilities of enjoying great Branson outdoors and other exciting water sports adventure in the Ozarks region. It is real easy to see scenic spots in Branson as the place is surrounded by the majestic Ozark mountain and three pristine lakes. Some of the perfect spots in Branson to let you see the beauty of the Ozarks include the Shepherd of the Hills Inspiration Tower, 165 Scenic Overlook, Table Rock Lake, and Lake Taneycomo. 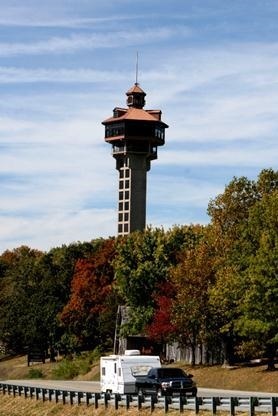 The Shepherd of the Hills Inspiration Tower is a tall 230-foot structure which is a must-see attraction as it provides visitors unparalleled Branson outdoors. The tower is open year-round from 9 am to 5 pm and takes visitors to observation deck on top of the building using two glass elevators. The scenic spots that you can enjoy when you are on top of the tower are overwhelming allowing you to enjoy spectacular views of Branson. As you set foot at the top of the tower, you might become interested to ride with the Vigilante ZipRider, a zipline attraction that departs from the top of the tower, providing a thrilling and unique view of the Ozark Mountains. At 165 Scenic Overlook, you can have the chance to enjoy the panoramic view of Table Rock Dam, Lake Taneycomo, and Pointe Royale. This is also a great place to spot the theaters in downtown Branson, the houses along the shoreline, the rolling hills, and the boats drifting by the lake. When the sun sets, the city lights create a lovely sight as well. Just ten minutes from the Strip, this place is a great spot to absorb the area’s natural beauty and take a few snapshots. Table Rock Lake is a great place to see spectacular tree-lined lakeside and picturesque view of the clean and crystal clear waters of the lake. At the lake, you’ll get to enjoy boating, fishing, skiing, wake boarding, or hiking at the lakeside and enjoy panoramic views. In the area, you will find the Table Rock Lakeshore Trail which is an easy, 2.25-mile trail, a great option for those travelling on foot. While you’re in the area, don’t miss to stop by Table Rock Dam to marvel the monstrous man-made structure. Lake Taneycomo is Branson’s distinguished lake that looks more like a river. The cool water of the lake is home to brown and rainbow trout. Many anglers flock to the lake year round to cast their lines as numerous state fishing records have been earned in the lake. Whatever kind of lake activity you want to enjoy at Lake Taneycomo, you are sure to find one that suits you. When you visit the Ozarks, you’re sure to enjoy great Branson outdoors as the place has many perfect spots to let you see the beauty of Branson.